Your number one bounce house & party rental company. BigTop Bouncers located in Spring Hill Florida is your number one Bounce House Rentals Company. 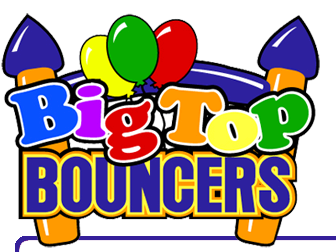 Bigtop Bouncers will provide you with Bounce Houses, Inflatable Slides or Moonwalks for all of your Birthdays and Special Occasions in Florida. Have your party at the party fun center. BigTop Bouncers serves you with Bounce Houses Hernando County Florida, Bounce Houses Citrus County, Moonwalk Rentals Pasco County Florida, Bounce House Rentals Pinellas County Florida, Moonwalker Rental Hillsborough County Florida and all surrounding areas. Party fun rental center. Look no further, Bigtop Bouncers has all you need for your occasion from Moonwalks in Florida, Helium Balloons in Florida and Concessions in Florida. 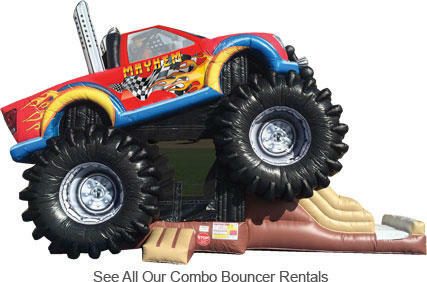 Contact Bigtop Bouncers for all of your indoor and outdoor Bounce House needs. Advertising inflatables. Giant inventory of wet slides water slides. Spring Hill Party rental. BigTop is known throughout the bay area for our great selection of water slide rentals. when you rent from Big Top! slides that will make your event successful. rentals suitable for backyard fun!